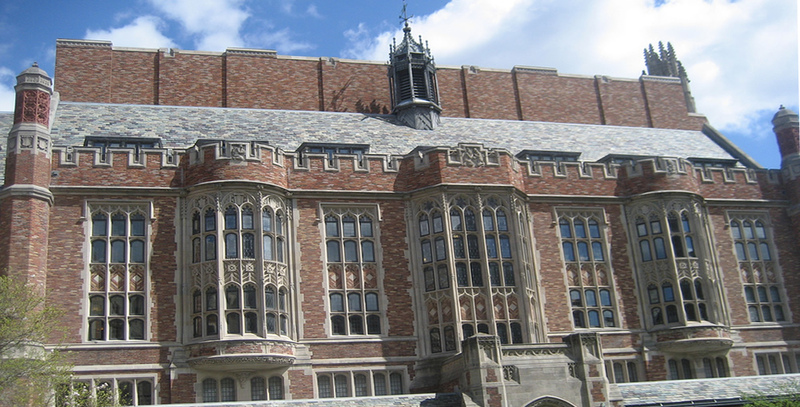 SearchReSearch: Search challenge (10/10/12): A vanished department in the university? 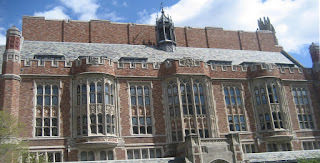 Search challenge (10/10/12): A vanished department in the university? We usually think of universities as being the storehouse of eternal wisdom, bastions of understanding with departments like physics, chemistry, philosophy--knowledge for the ages. But while walking down a corridor lined with old photographs of various university department chairs and important people with a stern visage, I was struck by how many of them were from academic departments I'd never heard of before. I was staring at the photograph of one such stern-mannered gentleman who was a member of a department that hasn't existed in decades. What really got to me is that he worked in a university department that no longer exists as an academic discipline. What is his name and what university department (that no longer exists) did he belong to? As is often the case, I don't think finding the answer to this challenge is all that difficult, but the back story of this guy is fascinating. Search on! Be sure to tell us HOW you found out the answer! Here is one answer that appears to be right. Alphonse Laveran - Laveran Malaria. Professor of Military Hygiene at École de Val-de-Grâce. He was also Chair of Military Diseases and Epidemics at the same institution. Thomas Benton Cooley is also a possiblity. He was Professor of Hygiene and Medicine at the University of Michigan. The disease is Cooley's anemia. Wow, this one had me searching for a good 15 minutes. I checked quickly the list of foreigners who were awarded the Legion of Honor, because I assumed from your description that this good doctor wasn't french. Thanks to House MD, I did check where Huntington's disease got its name. His name was Thomas Benton Cooley and he was a professor in the department of hygiene at the University of Michigan. Search took about 2 minutes. Googled world war legion honor disease professor. (Turns out I didn't really need all those keywords.) That brought me to a list of foreign recipients of the Legion of Honor. Jumped to the United States section and used ctrl-f to find World War participants. The third one was Cooley. His name was hyperlinked to his wikikpedia page, which answered the questions. Assuming the person is Cooley and the department is Hygiene, I would note that the department morphed into the School of Public Health, and is alive and well. Googled: "Legion of Honor" france disease physician "world war"
He was the 9th entry, the summary of which made it the only one I needed to open: "During World War I, Cooley went to France as the assistant chief of the Children's ... He was decorated in 1924 with the cross of the Legion of Honor for his work in France. ... physician and also undertook further training in contagious diseases." Ralph Bourgeois, MD; some kind of department of leprosy? Search recipients of LOH, wikipedia, looked for physicians, googled name without MD attached, found he was officer in leprosy society. Dr. Alexander Hamilton Rice. Rice founded the Institute of Geographical Exploration (IGE) at Harvard University. Found this info looking at list of Legion of Honor's recipients and searching for "Dr." in the page. From there it led me to his wiki page. Thomas Benton Cooley, University of Michigan Department of Hygiene. While the Dept. of Hygiene technically still remains, it is no longer called the Dept. of Hygiene so in a sense it no longer exists, no? Start with Wikipedia list of Legion of Honor recipients, look for those who served in either WWI or WWII, narrow down to those of medical professions (physician, pediatrician, etc) and search for those with diseases named after them. Cooley was a pediatrician, received the Legion of Honor for his work during WWI, and did extensive research into Cooley's anemia. Catégorie:Officier de la Légion d'honneur) I have found Gaucher to be awarded Legion of Honour OR Ordre national de la Légion d'honneur. There I searched with Ctr-F Physician. Found Dr. Carlos Juan Finlay. Carlos Juan Finlay (December 3, 1833 – August 20, 1915) was a Cuban physician and scientist recognized as a pioneer in yellow fever research. Not more data so searched for new thing. Data show he worked in WWI and disease after him but no mention about him not happy for the name. In that page says: His sub-speciality in paediatrics was haematology and he was especially interested in the anaemias of childhood which resulted in the term «Cooley anaemia», an eponym he heartily disliked. This search was hard for me. Tried to find the three points that thought were important in a single search but found nothing. Also hard because didn´t know about word eponyms. My answer: Thomas Benton Cooley. Professor of hygiene and medicine at the University of Michigan and Wayne State University. My first search was for 'World War 1 physician disease named after'. I saw an article on Reiter's syndrome. I went to the Hans Reiter wikipedia page which linked to his obituary. I believe it was Alexander H. Rice, Jr and he was a member of the Institute of Geographical Exploration at Harvard. From that list I searched for MD and Dr to see if anyone had it in their title and after going after a few false leads I found Mr Rice. The disease thing was a bit of a red herring as I couldn't find anything on the disease that was named after him but his bio dis say he studied tropical diseases so I figured I was on the right track. After that I just had to confirm that the department that he started at Harvard had actually shut down. A quick search for the institute brought this up: http://hcl.harvard.edu/libraries/maps/history.cfm confirming that it no longer existed. Ok, I think the individual in question was Thomas Benton Cooley who was a professor at the University of Michigan's Pasteur Institute which 'made itself obsolete'in the 1950s according to the Ann Arbor Chronicle. Finding him was easy enough - simple search of American winners of the Legion of Honour, led to a Wikipedia list. Knowing his profession and the time period reduced the possible candidates drastically and then another search eliminated all but Cooley. His own wiki page gave details of his professional appointments and then a process of elimination identified the Pasteur Institute as the most likely candidate. and looked for doctors and chose to search Emil com Behring because of his identifying diphtheria. That was the most outstanding discovery on the list. Then reviewing Behring's bio I see he was the Head of Hygiene, a distinct field. First search here by the way, hope it's right. Thomas Benton Cooley, I am certain of that. But not the department. The only one making sense is Department of Hygiene at the University of Michigan. I searched [Google] for recipients of the Legion of Honor, then narrowed it down to the American Recipients. I then looked for physicians within the list; then searched the names followed by "professor". Cooley was the only one who had a match. I searched through a couple of his obituaries, and two of them mentioned Cooley's Anemia, a disease in children. I also saw that he was a professor of Hygiene at University of Michigan and Medicine at Wayne. The University of Michigan didn't turn up many search results. Hope I am right, finger crossed. Alexander Hamilton Rice and the Institute for Geographical Exploration at Harvard. Not entirely sure but the way I found it was to do a search for Legion of Honor winners during World War I and World War II. Though I haven't confirmed he disliked the disease being named after him, I suspect no one is particularly proud of that honor. Thomas Benton Cooley - Professor of Hygiene, University of Michican and Wayne State University. Discovered (or first described) the disordered "erythroblastic anemia," subsequently known as "Cooley's anemia." Legion of Honor in 1924. Worked with the Red Cross in WWI. ~disease discover 1890..1970 ~professor "Legion of Honor"
The words I felt would most likely be close matches on a page at best I threw the tilda ~ thesaurus function into, hoping it would broaden my results. I isolated key terms I knew had to be included: Legion of Honor. "World War" was probably part of earlier searches, and would have worked here too. Most important was using google's number range. I wasn't sure what dates might be listed, and considered the range should be fairly broad to allow for early / late discovery of the disease relative to World War I or II's time frame. I'm not sure it's possible to isolate this doctor from the info given in the challenge. It is easy to find a list of eponymous diseses but there are a large number of members of that class that received the Legion d'Honeur! Karl Landsteiner,Pathology Department of the University of Vienna, i have searched in spanish "descubridor enfermedad trabajo en universidad, then www.historiadelamedicina.org/landsteiner.html. This took about an hour, and I did not get to the final answer. First tried dropping in image into image search, don’t see much. Now looking for doctors that won the Legion of Honor. First list was incomplete. is much more about his life. Following the war, Cushing settled into civilian practice again as chief of surgery at Harvard. Following the death of William Osler, he spent from 1920-1924 writing his biography. The tome was critically acclaimed and won the Pulitzer Prize in literature in 1925. I am unable to find out the exact name of the Department. Oddly enough, Thomas Cooley isn't in the NNDB page you cite. I wonder where they got their information? I also looked at one wiki page that did not have Cooley or Cushing. Gotta be careful of your sources. There have been thousands of winners of the Legion and I got thrown off by an incomplete list. Once I found Cushing, I concentrated on the part of the question that said,". . . but the back story of this guy is fascinating". And Cushing is certainly that. I knew something was wrong when I could not get "university department (that no longer exists)". I rationalized that the department had changed its formal name. So I learned a lot, and spent way too much time (though it was fun), and I'll be back here next week with a long reasoned answer that will probably be wrong, again. This does make the third time I have done that. I actually was not able to solve it, although I am happy to see I was on the right track. I was thrown off by Cooley being listed as a pediatrician, and did not have the time to go deeper. Marked "He was a physician who served valiantly in a World War, won the Legion of Honor for his noble work in France, and was the first to describe a disease that is now named after him. (He was none -to-happy about that honor...) " and right clicked, Search on google. Wrong answer but it only took me 3 seconds. Searcing for about 40 minutes. A Google search bassed on "Doctor World War 1 -II Legion of Honor University Professor" turned up a wikipedia reference to Thomas Benton Cooley, source of "Cooley's anemia" and awarded the French Legion of Honor for his work caring for French children during World War I. A further search for "Thomas B. Cooley" turned up a summary of the "University of Michigan Department of Homeopathic Medicine" . The summary lists a Thomas B. Cooley as a faculty member around 1900. Searching for Homeopathic Medicine at the University of Michigan website turned a note about that defunct department, which existed from 1875 until 1922, when it was phased out in favor of the allopathic School of Medicine. Boy oh boy, did I miss that one! John Kerner, MD, a World War II veteran from California who participated in the Liberation of France, was awarded France's Légion d'Honneur by President Nicolas Sarkozy during a special ceremony in Washington, DC on Nov. 6. 1. He is/was a doctor. 2. He received the “Legion O’Honneur” from France. 3. He lived in California. This last item in the one that “killed” me! In my minds eye I could see Mr. Russell walking the halls in California (Stanford or Mount Zion) and seeing a plaque about Dr.Kerner. I will keep working on my Google Power Searching skills.